NEW Glock 26 Gen4 chambered for 9mm Luger. This sub-compact polymer frame gun comes with a plastic case, three 10-round magazines and documentation. Available at 507 Outfitters in Easton, PA. Gen3 model, in picture available for special order. 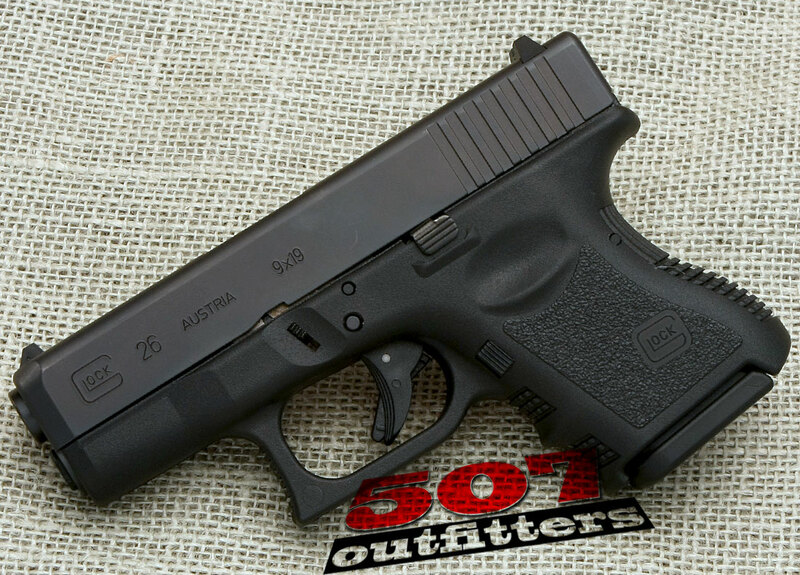 We carry wide selection of Glock pistols. Contact us for pricing and availability at contact@507outfitters.com or call us at 610-438-4780.